hippy, hoppity, Easter’s on its way! so that means their are Easter baskets to fill. 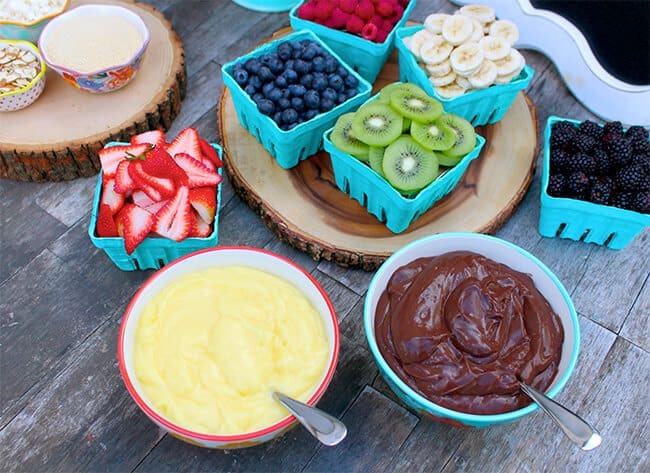 need some non-candy Easter basket ideas? 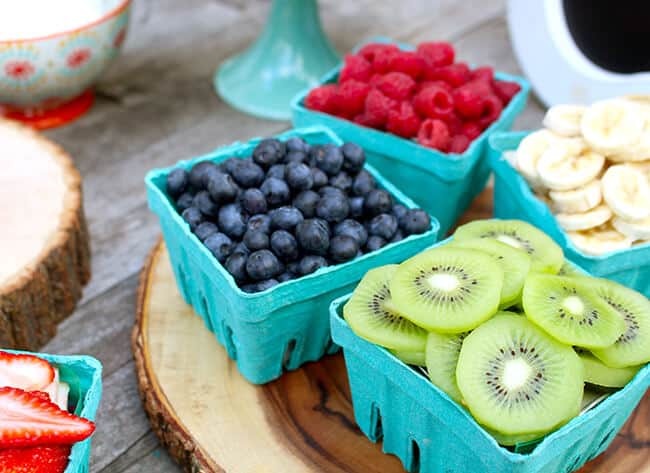 check out these adorable non-candy Easter basket ideas from Yoobi. one of my favorite places to find the best and most colorful school, home and office supplies. and did you know Yoobi’s motto? YOU BUY, YOOBI GIVES. every Yoobi item you purchase helps provide essential school supplies to classrooms in need across the U.S. i have seen first hand all the great work Yoobi does for our local schools….we just love them for all that they do for our community. 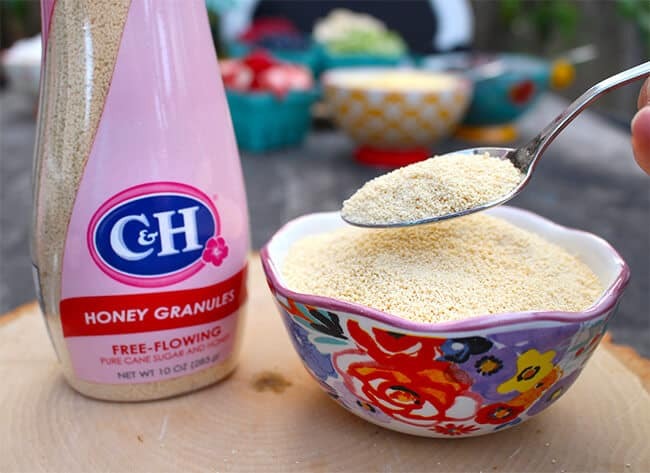 here are some of the fun items that will be filling my kid’s Easter baskets….although, i must say that these items are fun anytime of the year. there are spring stamp sets, sidewalk chalks in the shape of ice cream, sidewalk paints and the cutest little bunny bag i’ve seen. it even has a pom pom tail on the back! of course, the washable popsicle sidewalk chalks are my absolute favorite. (i wonder why?!!!). 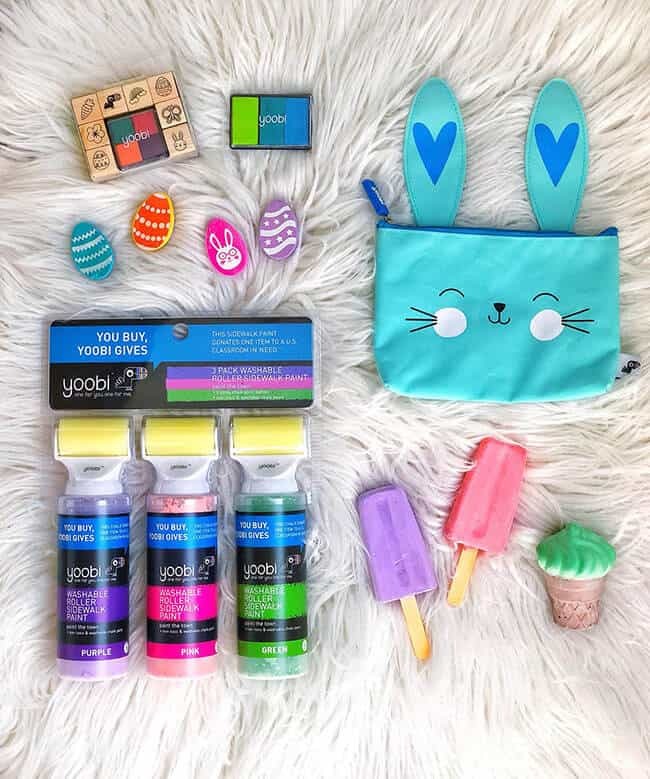 you can buy these fun spring items directly online, at a Yoobi storefront or at your local Target stores! What are you filling your Easter baskets with? when it comes to Easter and springtime, Peeps® are an iconic candy brand. when we received a big box in the mail this weekend labeled “PEEPS” on the outside, my kids were over the moon. 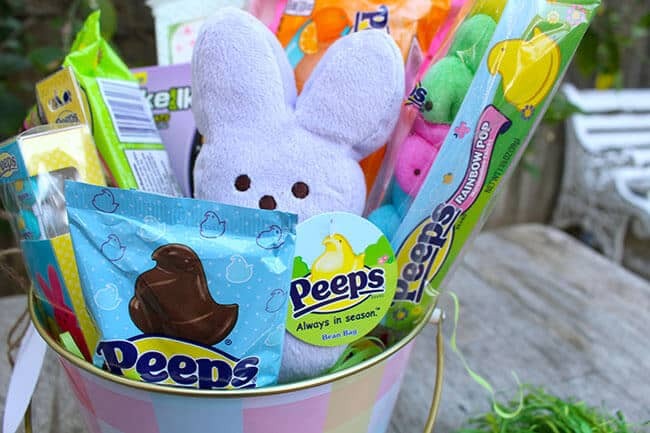 we figured it was full of the traditional colorful chicky and bunny Peeps®, but we had no idea that we would find such a variety of Peeps® candy as well as some fun PEEPS inspired gifts and other candy from the PEEPS & Company brands such as Mike and Ike and Hot Tamales. all these varieties made me want to head over to the Peeps & Company® website and check out what they offered. WOW. i was excited to see not only candy, but fun gifts, toys, home decor, and apparel. and not just for Easter. now you can enjoy PEEPS all year long. 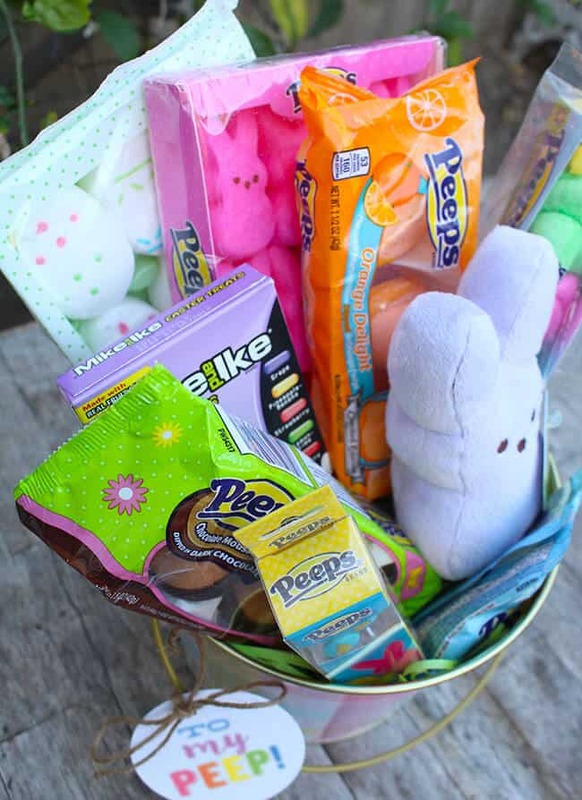 there are peeps and candy for all occasions and also in every color scheme. so if you are looking to match a certain color, i highly suggest checking out everything peeps has to offer. 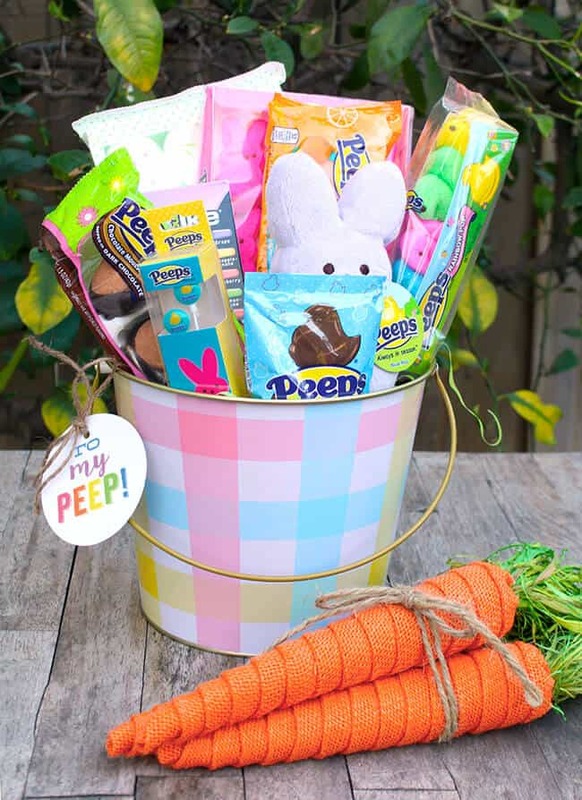 to celebrate my love for Peeps®, i thought it would be fun to make a fun Easter basket to give to one of my “peeps”. 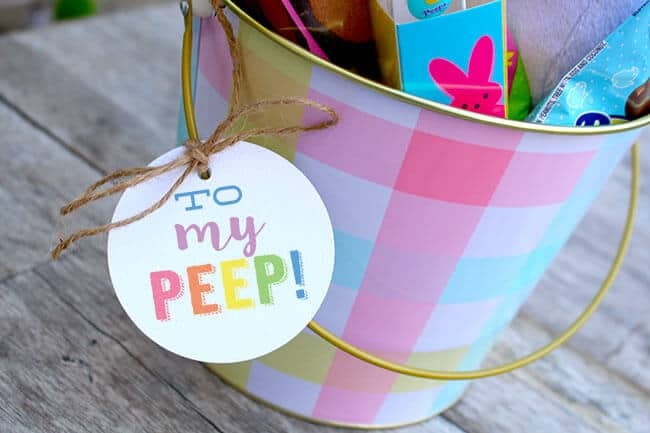 i just filled a spring bucket with some paper grass and a bunch of varieties of Peeps® including Peeps Chick Ear Buds and a Peeps® Bunny Plush and attached a cute tag that says “to my PEEP!” i wanted to make sure i included the free printable for you to use if you decide to make a Peeps® gift for one of your peeps. click here to download the Peeps gift tag. click here to download the Peeps gift tag. just for fun, i also wanted to share some of the Easter PEEPS that i think would be fun for the kid, tweens, teens and even adult Easter baskets or for a fun spring treat. check them out below! and don’t forget about Peeps & Company’s other fun brands – Hot Tamales and Mike and Ike. 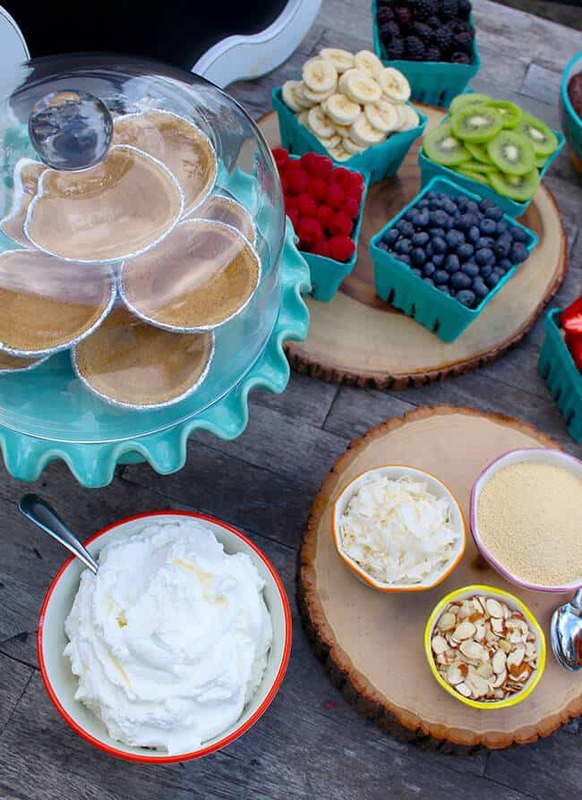 there are lots of fun candies in different flavors and themes to satisfy that sweet tooth! 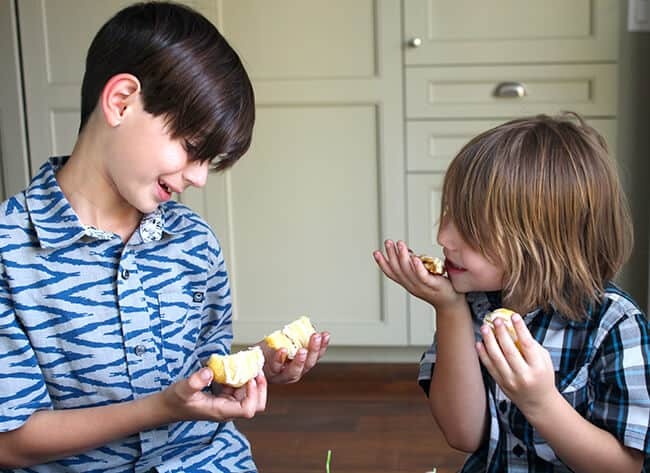 baking with my boys is one of my all-time favorite things to do, and since they were home for spring break, we had plenty of time to enjoy some baking fun in the kitchen. 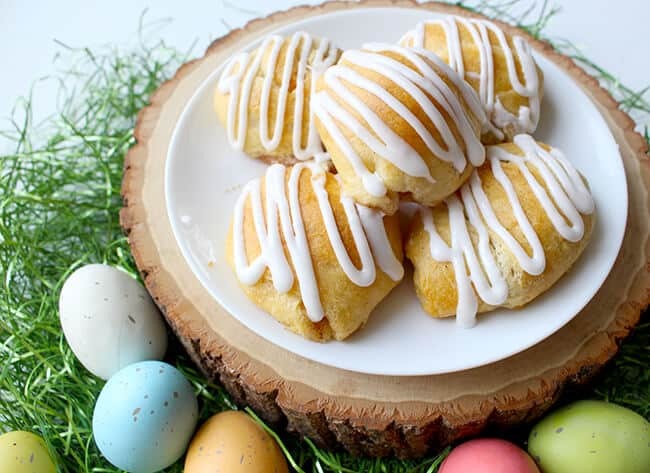 each year around this time, we like to make Resurrection Rolls to celebrate Easter. 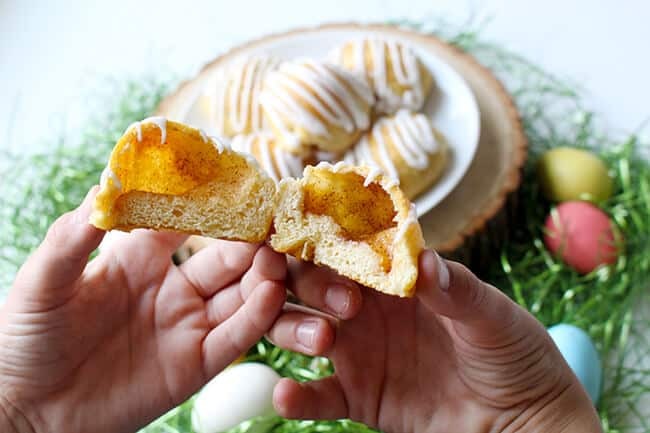 some people call these Empty Tomb Rolls. 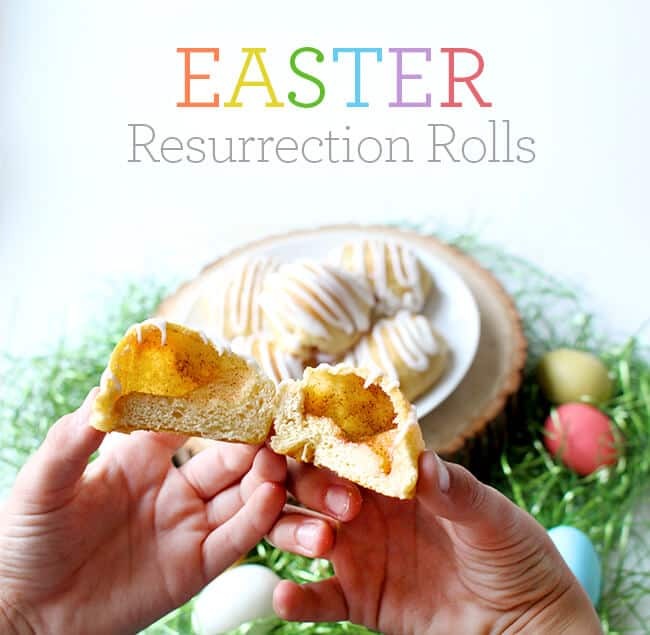 we make Resurrection Rolls to illustrate the story of Christ’s resurrection. 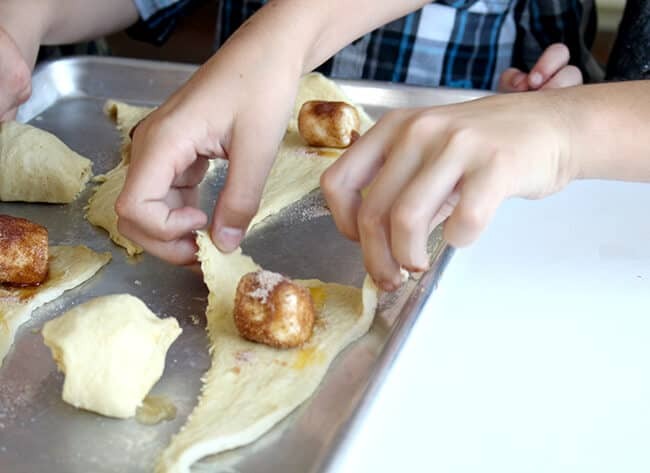 before you bake the rolls, you place a marshmallow into the center of the dough and wrap the dough around it. the marshmallow represents Christ’s body, and the dough represents the tomb where Christ’s body was laid to rest. when you place the rolls into the oven to bake, the marshmallow melts inside. when the rolls are done baking, you can cut them open and reveal the empty space within the roll where the marshmallow once was. this represents the resurrection of Christ and the empty tomb. 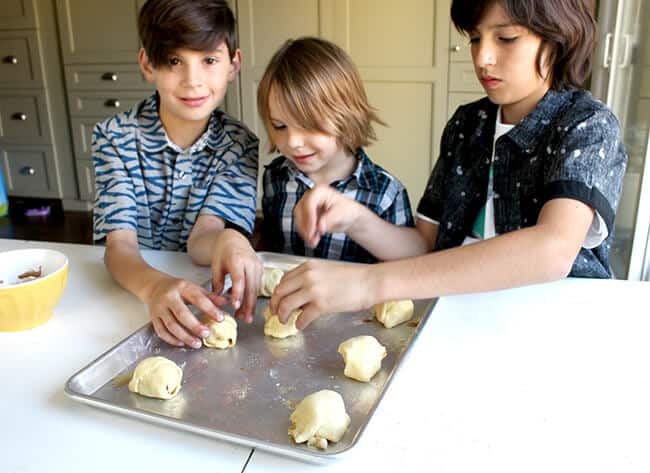 making Resurrection Rolls is a nice way to spend time as a family and also brings the spirit of Easter in our home. 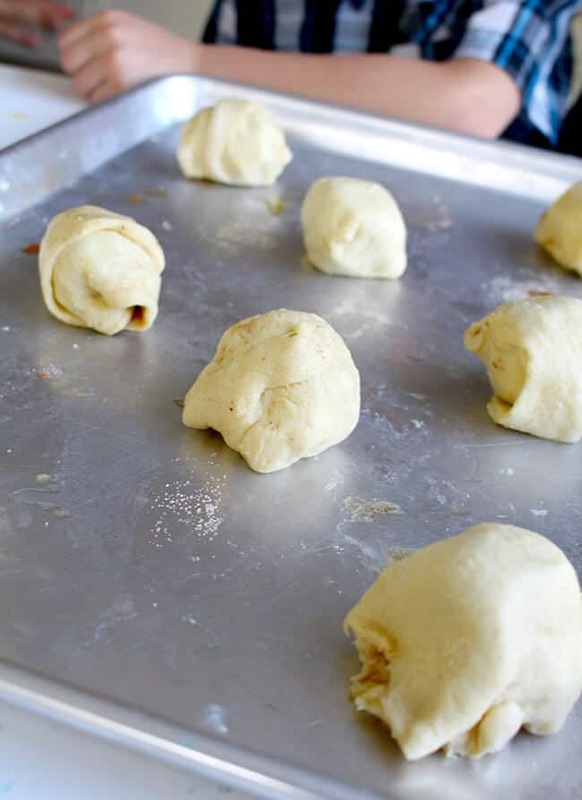 making Resurrection Rolls is super easy. 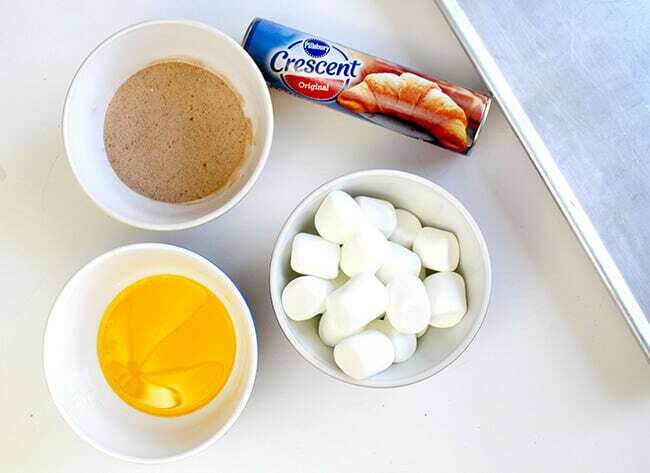 you just need an oven, a baking sheet, refrigerator crescent rolls, marshmallows, cinnamon & sugar and melted butter. if you want frosting on your rolls, powder sugar and a dash of milk will do. 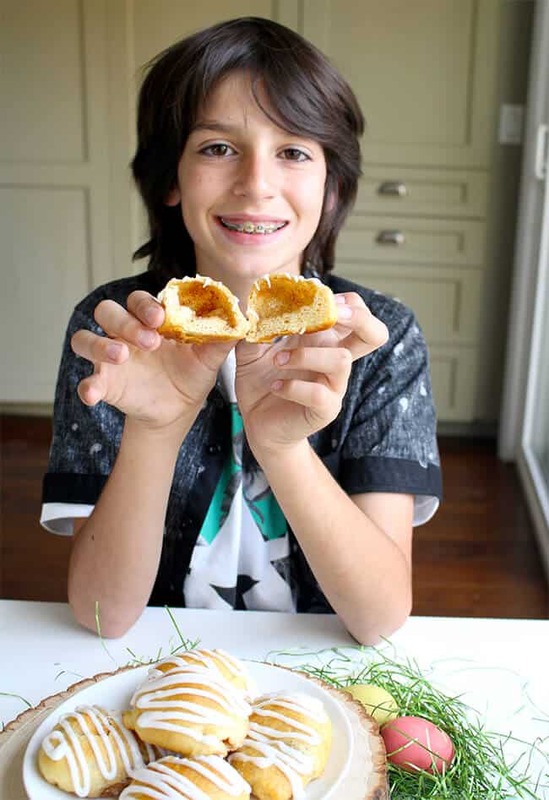 these rolls are easy enough for kids to make all by themselves. i usually tell the boys what to do while incorporating the story of Christ’s resurrection into what they are doing. 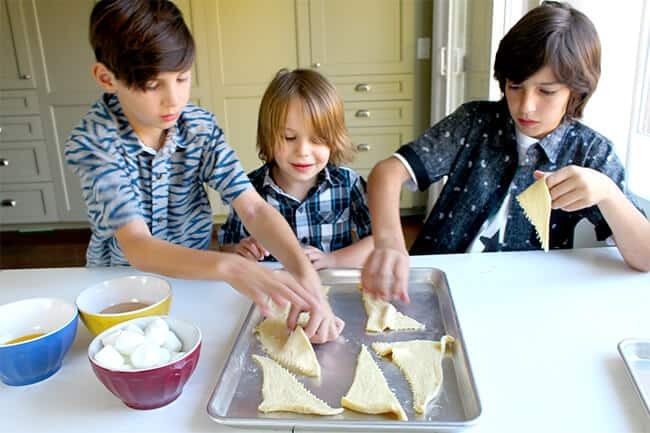 first, have the kids lay out the dough on a baking sheet. next, dip marshmallows in to the melted butter and roll it in cinnamon & sugar. this represents the people preparing Christ’s body with oils and spices for his burial. 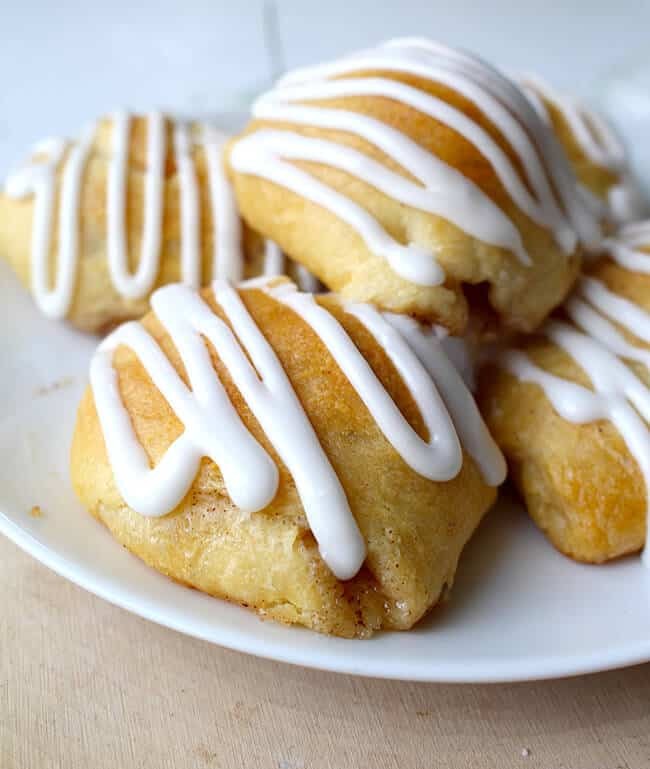 place a cinnamon and sugar covered marshmallow in the middle of each piece of crescent roll dough. 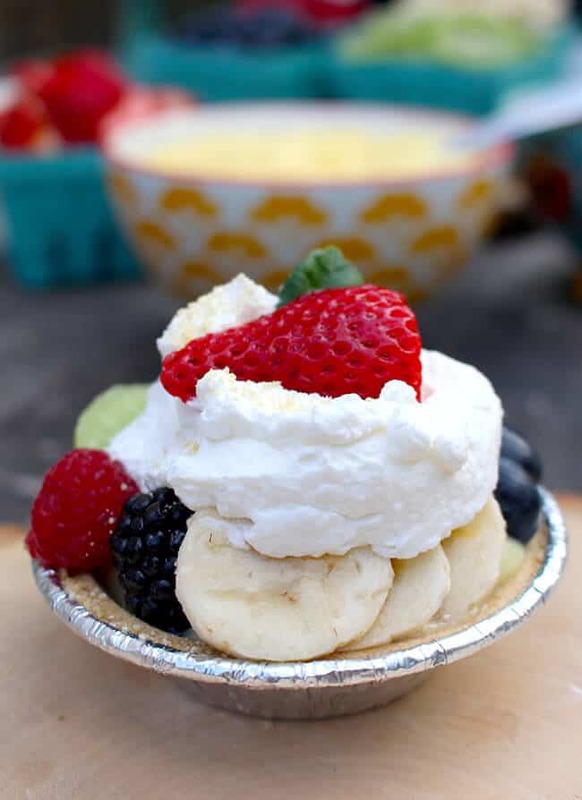 drizzle a little more melted butter over each marshmallow and sprinkle them again with the cinnamon & sugar. lastly, wrap each of the marshmallows up securely with the dough, making sure that there are NO HOLES. if you leave holes, the marshmallow and sugar will ooze out while baking, making a mess. place the rolls into the oven, following the baking directions on the package of rolls. 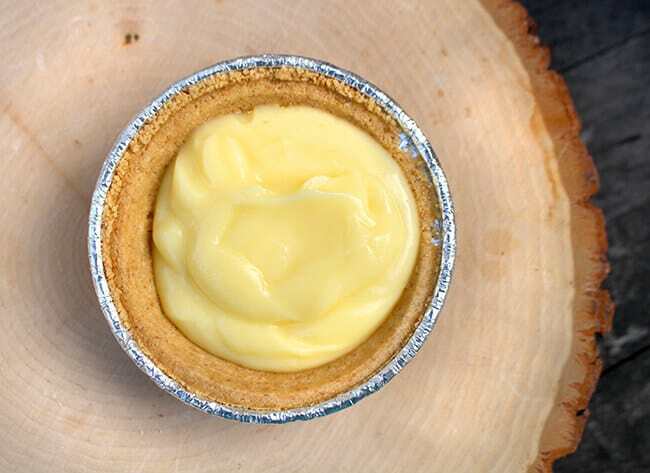 once they are finished baking, when they have cooled, you can frost them if you would like. i just made a quarter batch of royal icing and drizzled it across the tops of the rolls. then, serve them up. 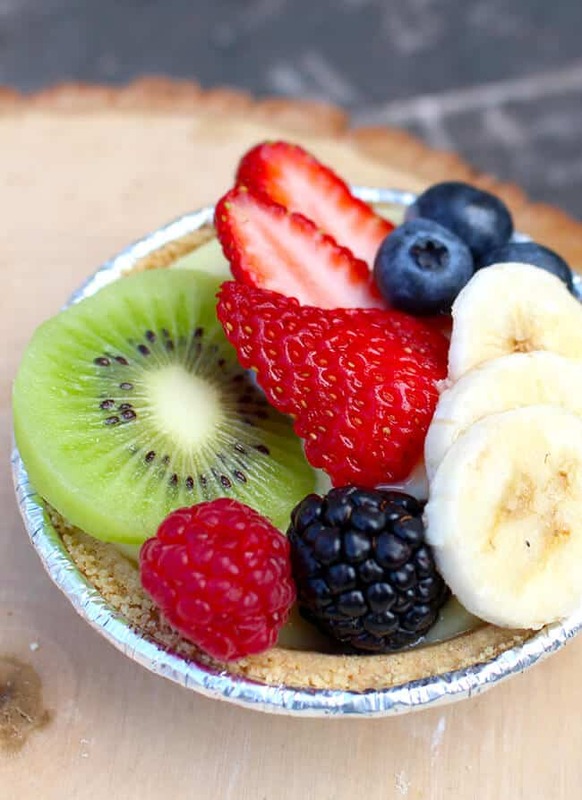 carefully cut each one open with a serrated knife and reveal the empty space inside. the marshmallow (Christ’s body) is gone and the roll (tomb) is empty. He is Risen! we had such a lovely time baking these Resurrection Rolls together. 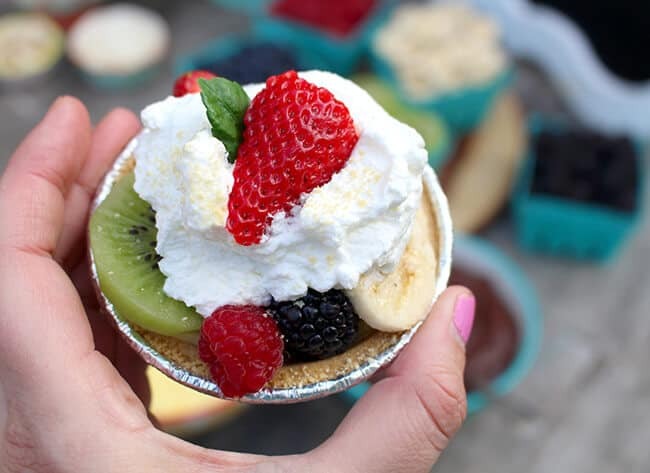 not only were the result very delicious…we also were reminded of what Easter is all about. this has been a tradition for the past few years, and i am sure we will continue the tradition for years to come. 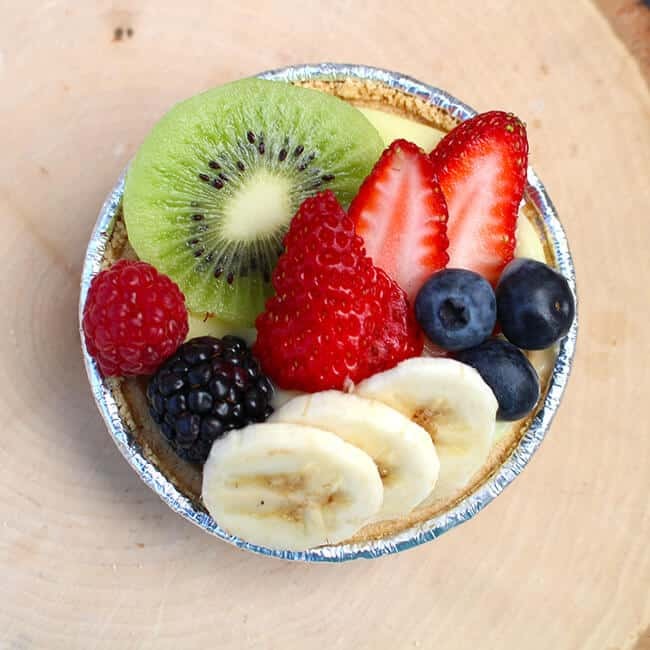 the Easter Bunny will be hopping around the corner in just a few weeks, and it’s time to start thinking about what he is going to fill the kiddies baskets with. whenever i fill my boys baskets with candy, they never eat it…and that is probably a good thing. the past few years i have limited the candy and put a few fun non-candy items in their baskets. i don’t like to spend a lot of money on Easter basket fillers, as i am not a huge fan of the Easter Bunny on this special holiday. i usually just put a pair of flip flops a small trinket they have been wanting, sometimes i even include a swim suit because i am going to have to get them one as soon as summer is here anyways. here are some gifts i have found this year that i think would make great basket fillers. i will probably include one or two of these in their baskets along with so candy…because Easter candy is the best. if they don’t eat it, i will. i thought i would share my picks in case you needed some inspiration. 1) LEGO Painting Easter Eggs Set – my boys love LEGO, and this Easter inspired set is sure to be a fun favorite on Easter. the mini figures are painting LEGO eggs with a paintbrush and pallete. how cute. 2) Shwings – these cool wings attach to your shoes and make your shoes stand out! there are over 150 styles in an array of fun shapes and colors. Shwings have been spotted on many celebrity kids, including David and Victoria Beckman’s sons Romeo and Cruz, Gwen Stefani’s boys Zuma and Kingston, Heidi Klum’s daughter Lou, Kendall and Kylie Jenner and many others. these are my fave!!!!! 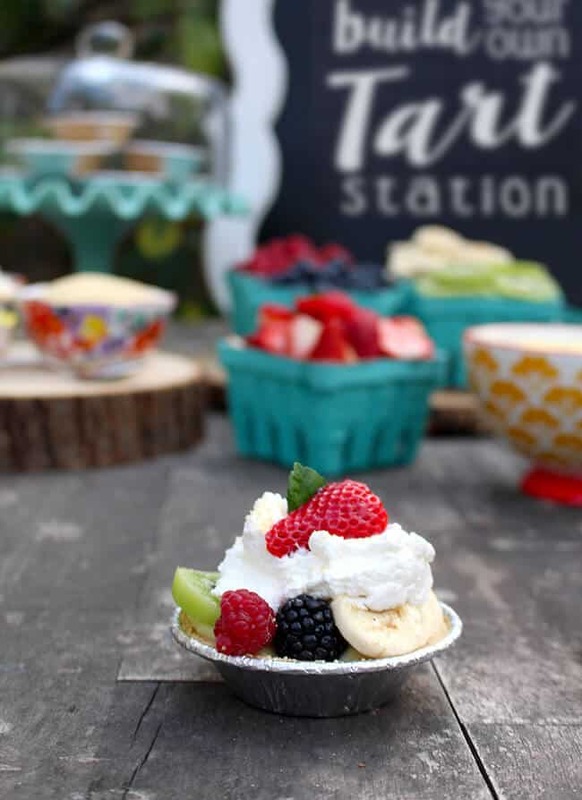 3) Chill Factor Ice Cream Maker – with the Chill Factor Ice Cream Maker, kids can create their very own frozen treats at home in minutes – with no mess! 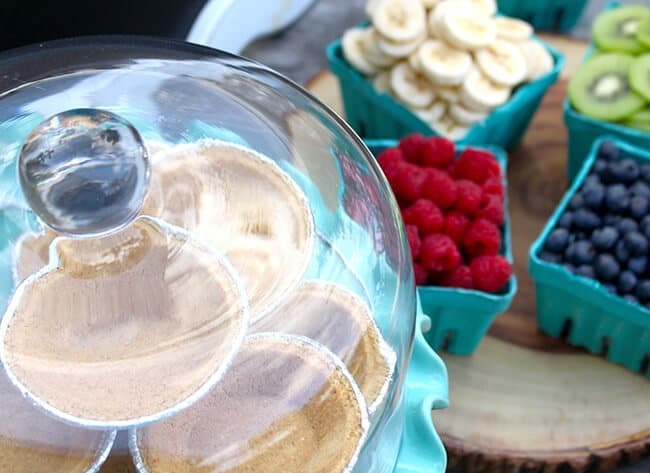 simply freeze the Ice Cream Maker, add the ingredients, give it a shake and squeeze, squeeze, squeeze! in minutes they can enjoy a delicious, ice cream treat. 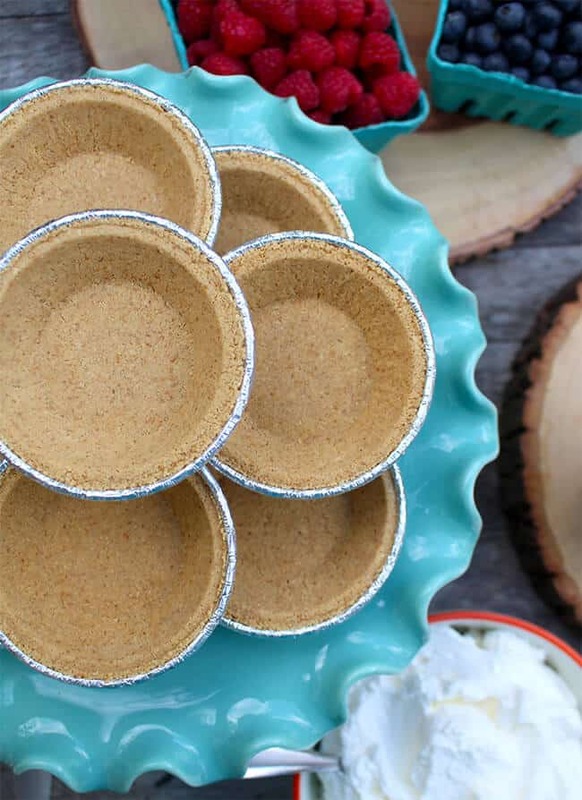 there are many delicious flavors to create – a recipe guide is included for inspiration. 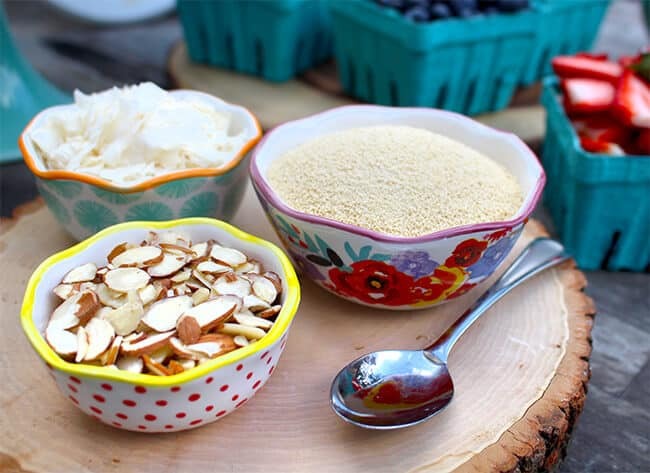 you can even make yummy and healthy frozen yogurt treats, as well as refreshing sorbets! 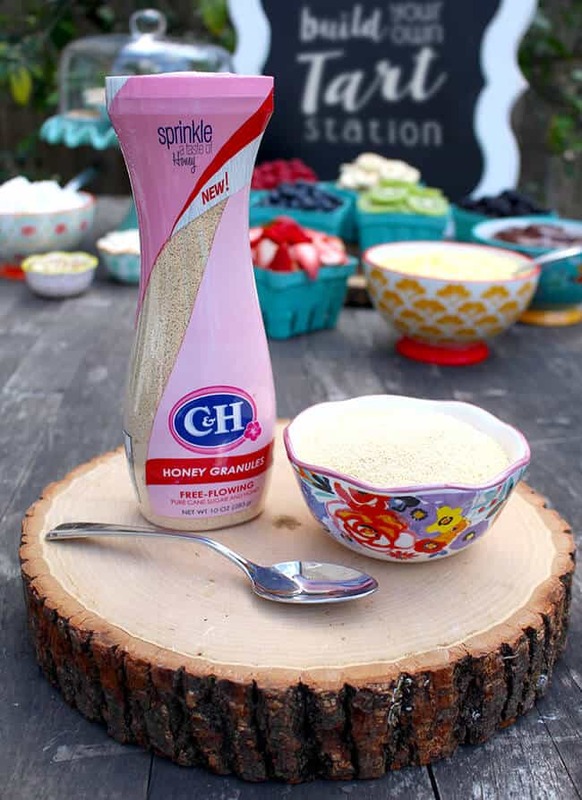 4) Personalized Krazy Straws – get your child’s name on a twisty bendy straw! how cool it that! 5) Subsidy Straws – stylish sunglasses in cool colors for kids. from wayfarers to aviators to cat eyes to pixels or hearts, they are the cutest sunglasses around. and the best thing about Subsidy Shades is that a portion of the proceeds go to helping parents pay for adoption. read all about this great cause on there website. 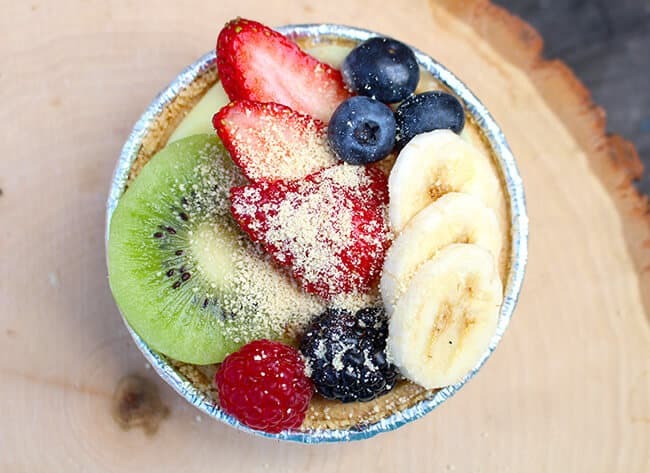 6) Charm Necklaces from With Love from OC – i love supporting local businesses, and these necklaces are made with love right here in the OC. choose from necklaces inspired by Disney movies, movie classics and television, they can even be personalized. 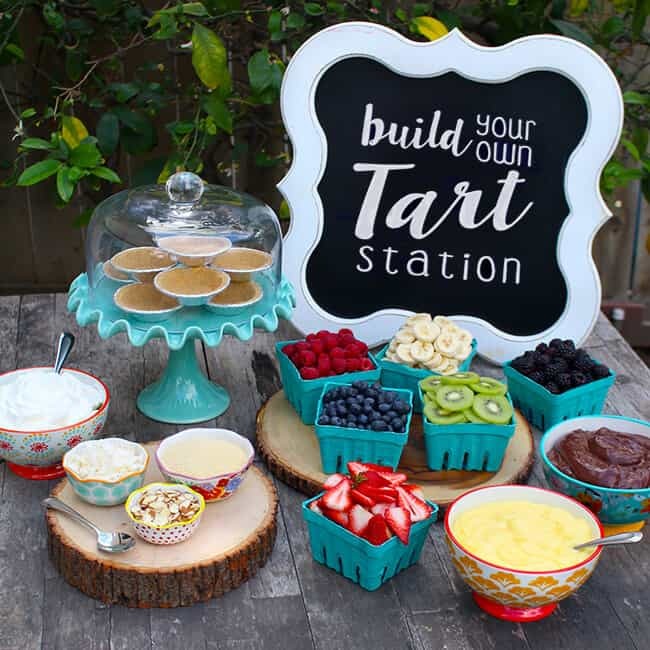 7) Foodstirs – designed by chefs and tested by kids, these food crafting kits help children get comfortable and creative in the kitchen. they also teach them basic cooking skills and inspire them to discover their inner chef. 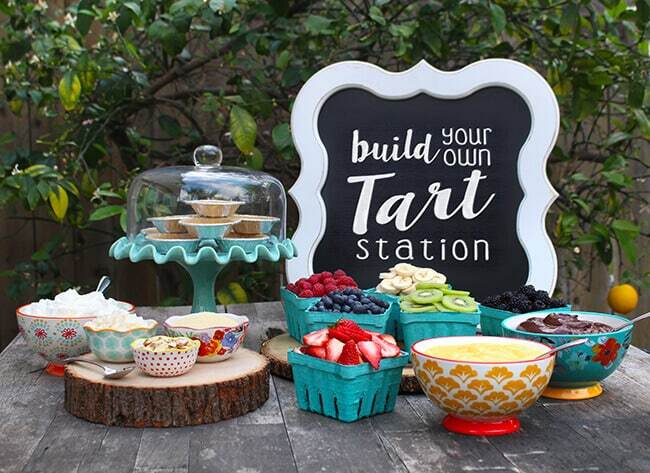 the kits come in a variety of themes with everything you need to create a yummy food creation. plus, they are delivered directly to your doorstep. 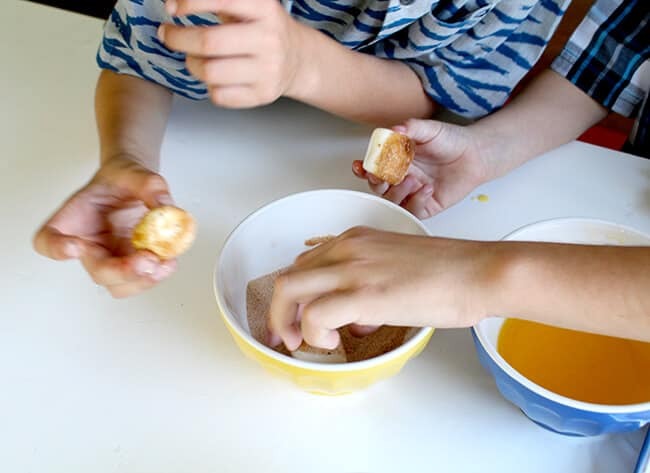 cooking brings families closer, creates memories and allows for time to truly engage with each other. my boys really loved their Foodstirs kit.